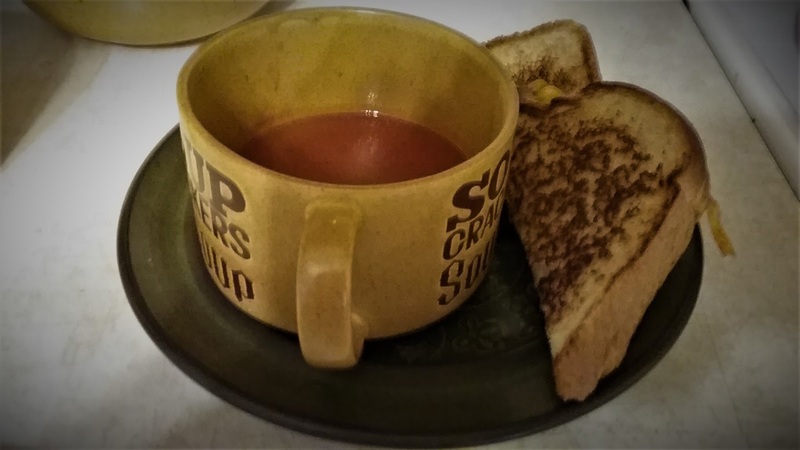 Whats better on a chilly day then a nice warm cup of Tomato Soup and a nice and hot Grilled Cheese sandwich. Since Mark and I are on low sodium diets. Most of the store bought soups contain too much. So we came up with our own recipe. Which was so easy to prepare. Cooking time was 10 minutes. – Dice tomatoes, put into saucepan. – Add the rest of the ingredients to the sauce pan, allow to boil for 10 minutes. Enjoy with a grilled cheese sandwich. This looks so simple, yet so comforting! I was looking for a quick tomato soup recipe a couple weeks ago… I’m gonna have to keep this on hand for when I have that tomato soup and grilled cheese craving again! I think your going to enjoy it as much as we do. Have a great weekend. I’ve never made tomato soup before, but this looks really simple and doable!